We have developed fieldbus communication functions for our distributed control system CENTUM CS that comply with the specifications of the Fieldbus Foundation. These new functions enable cascade control of the CENTUM CS control function and the field device control function, and also support the operation and monitoring functions of the field device control function. The fieldbus communication module (ACF11) interfaces with the fieldbus. It can also be connected to a node on the remote IO bus (RIO bus), thereby making the system construction flexible. This paper introduces the characteristics of the CENTUM CS fieldbus system, with the main focus on its communication functions. The CENTUM CS fieldbus communication functions were developed with the aim of reducing the burdens of plant operation. This was achieved by standardizing the operation and monitoring functions, including the functions for the control of field devices, in an environment where the fieldbus coexists with a conventional analog communication line. One major technical challenge in this achievement was communication between field devices and higher-order control equipment while prioritizing the characteristics of fieldbus communication functions among other things. The CENTUM CS fieldbus communication functions are designed to comply with the fieldbus standards specified by the Fieldbus Foundation, while still upholding Yokogawa Electric's traditional ideas of instrumentation. Accordingly, these functions integrate fieldbus capabilities into the CENTUM CS control, operation and monitoring functions, to form one of the key technologies for the Enterprise Technology Solutions (ETS) offer. 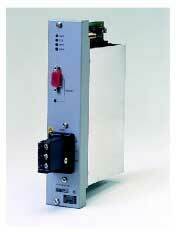 • The fieldbus system can be installed in combination with a conventional 4-20 mA analog communication line. In addition, the system is designed to be flexible and accept step-by-step expansions, that is, additions and expansions according to growing application needs. • In anticipation of the fieldbus age, the CENTUM CS system has used floating-point data in its data processing from the outset. 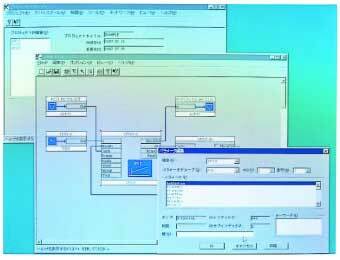 The system can therefore continue to produce precision data for control computations. • Like conventional discrete input/output data, the I/O data of a field device can be handled as process I/O data. Consequently, there is no need for the system to be aware of the fieldbus. • Whatever fault may occur, the fieldbus system can detect failures in field devices or in the process in virtually no time at all. In addition, the FCS function blocks are designed to act correctly (bumpless output control, for example) depending on the operating condition of the fieldbus function blocks. • The fieldbus system provides a human-machine interface function that is designed to operate the control functions of field devices (parameter tuning, for example) and continuously monitor their operating condition. The interface allows the control functions to be operated and monitored in virtually the same way as done for earlier CENTUM CS control functions. • The fieldbus system can constantly monitor alarms for faults, such as failures in field devices and device alarms (such as I/O failures) raised by the field devices voluntarily. This makes preventive maintenance easy. • The extensive diagnosis functions of the fieldbus communication modules minimize functional degradation in the system due to imperfections. Using a device management tool, users can monitor the device status and parameter data that is essential for field device maintenance, from an off-site location such as the instrument room. This makes system maintenance easy. Figure 1 shows the system configuration. 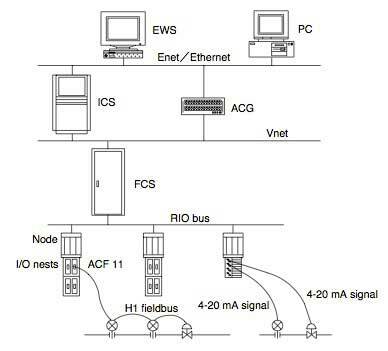 As shown in the figure, the CENTUM CS fieldbus system consists of the following equipment. 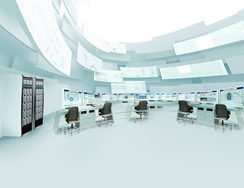 The ICS performs the operation and monitoring function of a distributed control system. In addition to the conventional functions, the ICS can operate and monitor fieldbus function blocks and receive alert messages (alarms and events). The EWS performs the engineering function of a distributed control system. In addition to the conventional functions, the EWS can engineer the fieldbus communication module (ACF11). 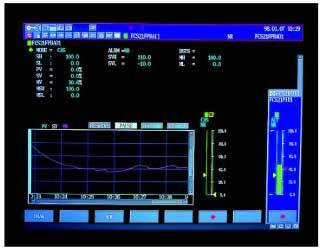 The FCS performs the control function of a distributed control system. In addition to the conventional functions, the FCS can run a process for cascade connection to the fieldbus and interface field devices with the ICS. The ACF11 module serves as a link master in the fieldbus system and can relay data between the FCS and field devices. The PC runs software tools for engineering and maintaining field devices. When there are only a small number of devices, no external power supply is required and engineering therefore extremely easy. Since the module's memory handles vast amounts of control I/O data, it is equipped with an EDC function in order to ensure reliability. The maintenance support function makes it easy to revise programs and provides a communication port for monitoring the internal operation. Figure 3 shows how FCS function blocks are connected to fieldbus function blocks. If viewed from the FCS function blocks in the figure, it is possible to handle the I/Os of the fieldbus function blocks in the same way as conventional process I/Os. In addition, these I/Os provide the following necessary functions for cascading between the FCS function blocks. Since any device failure can be instantaneously determined from the data status of a fieldbus function block, it is possible for a control block in the primary loop to change to an appropriate mode. From the data status of a fieldbus function block, an FCS function block can detect any clamped output. Upon recovery from a failure in any field device or communication line, an FCS block can track the output of the field device in order to bumplessly continue the output action. With these functions, the new fieldbus system enables flexible application design even in cases where control functions are distributed throughout the field. Though different from fieldbus function blocks, the FCS function blocks have the capability of initialization handshaking based on the data status. This allows the FCS function blocks to be connected to the fieldbus function blocks without problems. As a means of monitoring the operating condition of field device control functions (namely, the internal parameters of fieldbus function blocks), the CENTUM CS fieldbus system can display and set the parameters of fieldbus function blocks using on-demand communication functions. Like the conventional process I/Os, each parameter of the fieldbus function blocks can be dealt with using a terminal number. By linking this terminal number with a faceplate block, the parameter can be viewed and set on a parameter tuning panel like those of FCS function blocks. This implements ICS-based operation and monitoring functions for fieldbus function blocks. 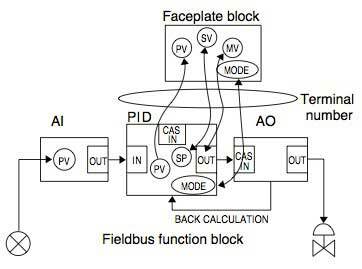 Figure 4 shows how each parameter of the PID control block relates to the process variable (PV), setpoint (SP), manipulated variable (MV) and mode of the faceplate block in a control loop consisting of an analog input (AI) block, PID control block and analog output (AO) block. Figure 5 shows a display of the faceplate block tuning panel. Alert messages (alarms and events) issued by field devices are received by the ACF11 module and transferred through an FCS up to an ICS. These alerts are then stored in the ICS as historical messages. These messages can be referenced using the "historical report function" or viewed using the device management tool. Figure 6 shows an example of the various engineering tool builder screens. Fieldbus technology is expected to spread dramatically by the year 2000 as a replacement for 4-20 mA analog transfer technology. Yokogawa Electric strongly supports fieldbus standardization, participating in the Fieldbus Foundation's development of fieldbus specifications and demonstrating the usefulness of fieldbus technology in experiments and other activities. The CENTUM CS fieldbus communication functions discussed in this paper have been developed as a forerunner of fieldbus technology on the basis of Yokogawa Electric's previous experience and expertise. We believe these new functions will contribute significantly to the spread and development of fieldbus technology. We will continue to research further functional improvements and cost reductions in new fieldbus systems, taking into consideration a balance of fieldbus systems and distributed control systems, in order to offer users the full advantages of fieldbus technology. CENTUM is a registered trademark of Yokogawa Electric Corporation. Windows NT is a trademark of Microsoft Corporation, USA. Kai Tadamichi, "The Fieldbus Fundamentals Handbook," Ohmsha, pp. 128 (1995). 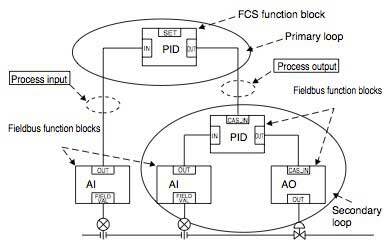 Mori Hiroshi, Kawano Takafumi and Shirai Toshiaki, "Fieldbus System Integrated into DCS," ISA/96 Advances in Instrumentation and Control, Volume 51 (1996). Tomia Shoji, et al., "Standardized File Exchange Eases Fieldbus Interoperability Design," Intech, Volume 44, No. 3, pp. 46-49 (1997).